The Knesset presidium has approved a proposal by MK Ophir Akunis to hold hearings on the foreign funding of NGOs. The Knesset Presidium on Monday approved a request by MK Ophir Akunis (Likud) to hold hearings on foreign funding for NGOs in Israel in 2011. Akunis' proposal requires the Defense and Foreign Affairs Committee to probe foreign donations to political NGOs in Israel. 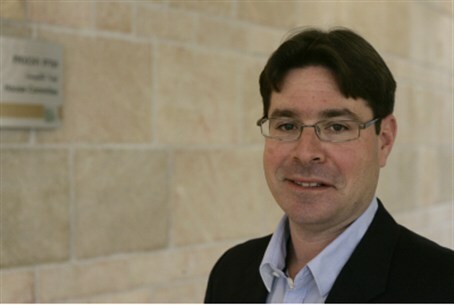 "I see great importance in increasing transparency regarding the methods of financing of political organizations in Israel," Akunis said. "The situation in which huge amounts of foreign funds flow to domestic political associations in Israel is absurd," he explained. "The Israeli public should know what is going on and be aware of the facts." A pair of bills drafted by Akunis and MK Fania Kirschenbaum (Israel Beitenu) aimed at cutting foreign funds to political NGOs were killed by the Ministeral Committee for legislation on Prime Minister Binyamin Netanyahu's orders late last year. Netanyahu subsequently asked Akunis and Kirschenbaum to combine and redraft the bill so as to clarify what constituted a "political" NGO after Foreign Minister Avigdor Lieberman (Israel Beitenu) threatened to bring Kirschenbaum's bill to a vote despite the PM's opposition. However, after Attorney General Yehuda Weinstein refused to defend the new bill should it be challenged in court, Netanyahu tabled that bill as well. Critics say Weinstein, while obligated to give his advice on the potential pitfalls of new legislation, overstepped by refusing to represent the government's position in court - which is the job he was appointed to do. Instead of tabling the legislation under threat, critics say, Netanyahu should have informed Weinstein that he had the option of resigning if he felt he could not do his job. In July 2011, Netanyahu said he would oppose a commission of inquiry into foreign funding of NGOs in Israel. At the time, the push to create the commission failed due to Likud not enforcing party discipline when it came to a vote. Observers say Netanyahu’s history of reversals on the foreign funding issue make it difficult to anticipate his response to Akunis’ current push for a commission.